Laurent Dubois is a professor of romance studies and history at Duke University, where he teaches the popular course Soccer Politics. The prize-winning author of five books, including The Banjo, Haiti, and Soccer Empire, he lives in Durham, North Carolina. "Laurent Dubois is a fluent writer and very smart thinker who loves soccer as a game and understands it as more than just a game. As someone who is at home in many countries, he is the ideal guide to the world's most popular sport." 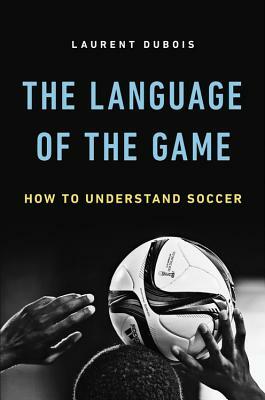 "Laurent Dubois' The Language of the Game is a primer for beginners, a guide for the engaged, an anthology to please veterans, and a gentle meditation on the game of soccer; critical when necessary, it is, nonetheless, a treat to hear a voice in football that still speaks of awe, wonder, and pleasure."